This entry was posted in Year 5 TDIWH and tagged British waterworks, drinking water, Margaret Thatcher, privatization, rice, Sacramento River Valley, sushi, water, water history, water resources on November 25, 2016 by safedrinkingwaterdotcom. This entry was posted in Year 4 TDIWH and tagged British waterworks, drinking water, Margaret Thatcher, privatization, rice, Sacramento River Valley, sushi, water, water history, water resources on November 25, 2015 by safedrinkingwaterdotcom. 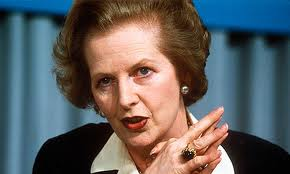 This entry was posted in Year 3 TDIWH and tagged British waterworks, drinking water, Margaret Thatcher, privatization, rice, Sacramento River Valley, sushi, water, water history, water resources on November 25, 2014 by safedrinkingwaterdotcom. This entry was posted in Year 2 This Day in Water History and tagged British waterworks, drinking water, Margaret Thatcher, privatization, rice, Sacramento River Valley, sushi, water, water history, water resources on November 26, 2013 by safedrinkingwaterdotcom. Commentary: Ok. I will call this instant history or instant news analysis. Obviously, I cannot help myself. No mention is made in this piece how much water is required to grow rice in an area that has allocated water for too many uses. 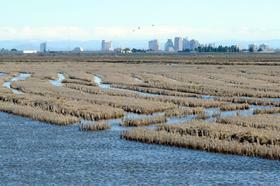 Growing rice in the Sacramento River Valley made sense 100 years ago. It even made sense 50 years ago. It makes no sense today. I don’t care how much sushi is sold in LA or Tokyo. This entry was posted in This Day in Water History and tagged British waterworks, drinking water, Margaret Thatcher, privatization, rice, Sacramento River Valley, sushi, water, water history, water resources on November 24, 2012 by safedrinkingwaterdotcom.